Allow our expert design team to create decoration that is personalized and unique for your special event. As part of our team, we have several staff with backgrounds in art and design. Included with our catering services is full decoration of the buffet table. We love to use fresh flowers and lush greenery to give the event anything from a "classic, natural" feel to a more modern upscale atmosphere. Our decorators and designers can usually be found at the Saturday Market searching the perfect flora to coordinate with a bride's colors. We also work closely with area florist and wedding coordinators to make sure the overall look of the event is consistent. 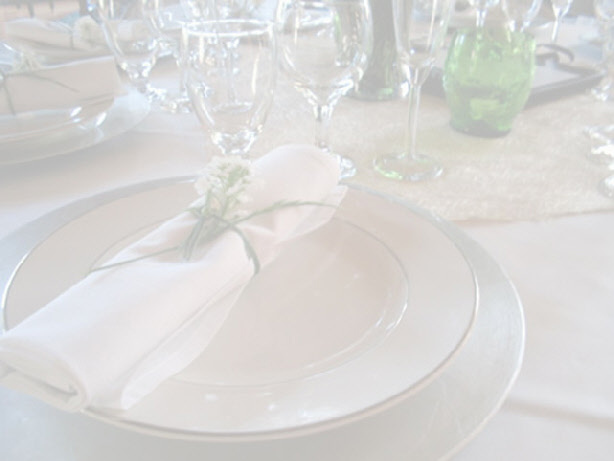 At A Taste of Elegance every detail is important, and we strive to make your event esthetically pleasing.